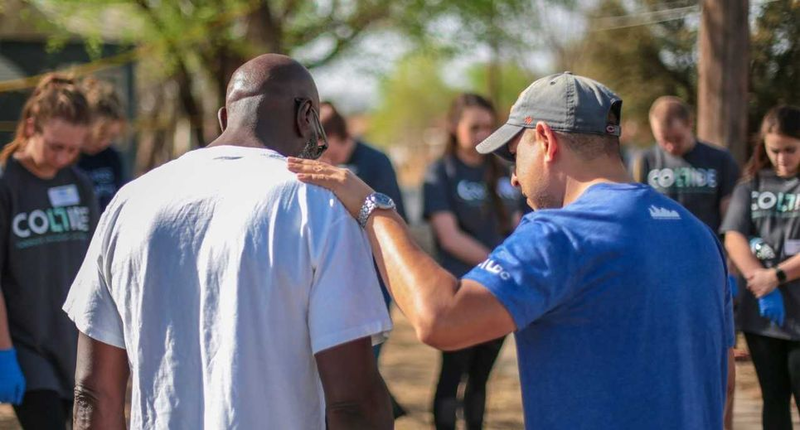 On March 24 a group of LCU students, faculty and staff traveled to the Lubbock Dream Center (LDC). 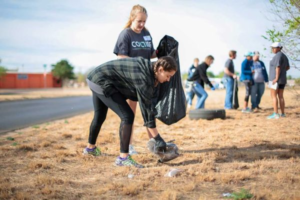 The purpose: to participate in an annual LCU tradition called COLLIDE, which has been conducted by the LCU Inter-Club Council over the past 10 years. When asked about COLLIDE, sophomore Collin Boverie, who participated in his second year of the event, had nothing but praise. COLLIDE is a time when any student who wants to can go out into the community and clean up around neighborhoods. Along with picking up trash, some students go door to door and pray over the residents. Not only does this help the students connect with each other, it helps them connect with different people around Lubbock. The LDC is a nonprofit organization that helps bring in people who are struggling with finances or daily life in general. The center assists with food, shelter, money, and, greatest of all, Christ’s love. Michael Marrero, a freshman who hadn’t experienced COLLIDE until this year, was fascinated by the LDC and encouraged by COLLIDE. “God really allowed something beautiful to be built here,” Michael said. “The true mission of the church is fulfilled when LCU holds events like this.” He said he plans on participating again next year. If you would like more information about the Lubbock Dream Center, including how to volunteer and serve, go to http://lubbockdreamcenter.org/.